Mr. Paul was born and raised in Oceanside, New York, and came to the Washington, D.C. area to attend the University of Maryland, where he received a B.A. in Accounting. In 1980, he began his career in real estate investment as a bookkeeper, and in 1987, formed his own investment company, Ronald D. Paul Companies, Inc. Mr. Paul’s real estate holdings include office buildings and multi-family apartment projects throughout the Washington Metropolitan area, as well as in Philadelphia, New York, Texas, Florida and Iowa. He is active in private investments, which includes serving as Chairman of Bethesda Investments, Inc., a private venture capital fund. As President of RDP Management, Inc., he is also engaged in the business of real estate management. 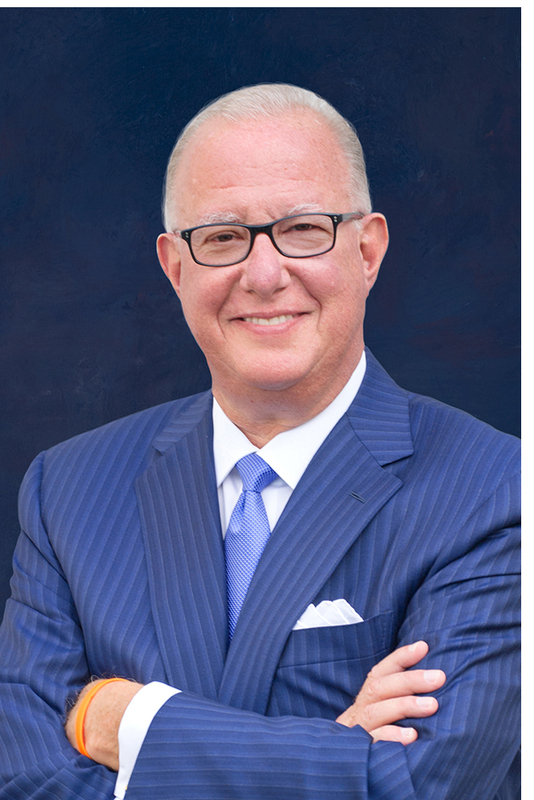 Mr. Paul also serves as the Chairman of the Board of Directors and Chief Executive Officer of Eagle Bancorp, Inc. and EagleBank, a community bank established in 1998 in Bethesda, Maryland. Involved in community banking for 28 years, Mr. Paul is one of the founding board members of the Bank, and has been instrumental in the growth of the Bank’s size. With over $8 billion in assets and over 25 offices, EagleBank is the largest community bank headquartered in the Washington, DC Area. Rated A - by Kroll Bond Rating Agency, EagleBank has consistently been cited for its excellent overall financial performance by recognized bank rating services such as IDC Financial Publishing, Veribanc and BauerFinancial. In 2016, Independent Banker named EagleBank one of the “Best of the Best” community banks in the country. For 2015, EagleBank was one of 18 banks named to the Bank Honor Roll by Keefe, Bruyette and Woods. In 2016, Sandler O’Neill & Partners ranked EagleBank #1 overall among all banks headquartered in Maryland, and named it a 2015 Sm-All Star Bank among all banks nationally. Very active in several charitable organizations, Mr. Paul serves on the Board of Directors of the National Kidney Foundation of the National Capital Area (“NCA”). Mr. Paul’s involvement with the National Kidney Foundation began in the 1980’s when he was diagnosed with kidney disease; he received a kidney transplant from his brother, Steven B. Paul, at the Washington Hospital Center in 1990. Nineteen years later, he received a second transplant from Kathy McCallum, Chief Executive Officer of Ronald D. Paul Companies. In 2002, Mr. Paul founded the National Kidney Foundation’s Annual Ronald D. Paul Companies Kidney Walk, which has grown from approximately 40 to over 900 walkers and has raised over $900,000. As Chairman of Eagle Bancorp, in 2005, Mr. Paul founded the EagleBank Foundation, which annually raises funds for breast cancer research, patient services and education. To-date, the Foundation has raised in excess of $2.5 million. Recently Mr. Paul and his family created the George Washington University / Ronald and Joy Paul Kidney Center. The purpose of this collaboration is to support kidney disease and transplant awareness, promote patient care and service throughout the Washington Metropolitan Area. Mr. Paul hobbies include collecting sports memorabilia, golf and travel. He and his wife Joy live in Potomac, Maryland and have two daughters. Ronald Paul serves as the Chairman of the Board of Directors and Chief Executive Officer of Eagle Bancorp, Inc. and EagleBank, a community bank headquartered in Bethesda, Maryland. We are committed to creating meaningful change in the communities we serve through our philanthropic efforts. As such, we sponsor three annual charity events that focus on issues close to our heart.